The St. Mary's County Department of Emergency Services has selected Christopher Thompson as Chief of Communications. The St. Mary's County Department of Emergency Services has selected Christopher Thompson as Chief of Communications. In his new position he will serve as division manager, overseeing all 911/Communications Center personnel. 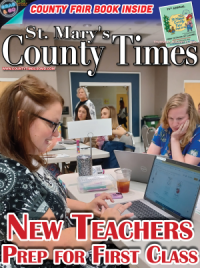 Mr. Thompson comes to St. Mary's County from neighboring Charles County where he had a long and distinguished career. 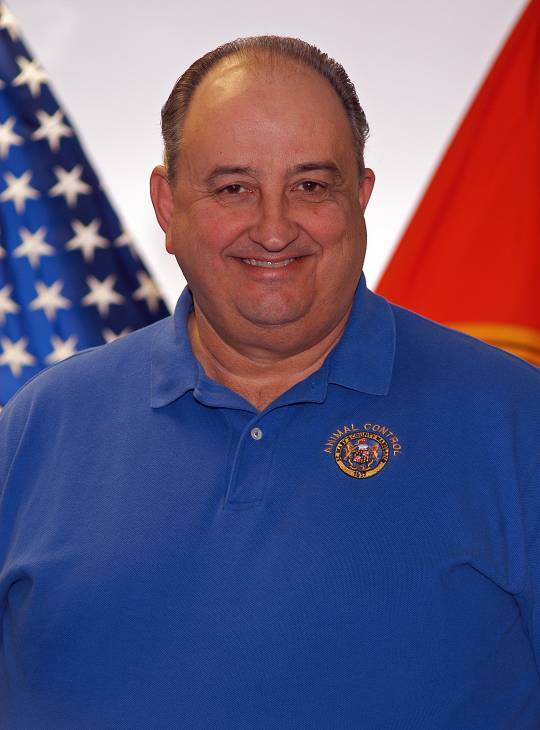 Most recently he worked on the administration of Charles County Public Safety Communications radio system and served as lead on the telephone and communication center refresh project. 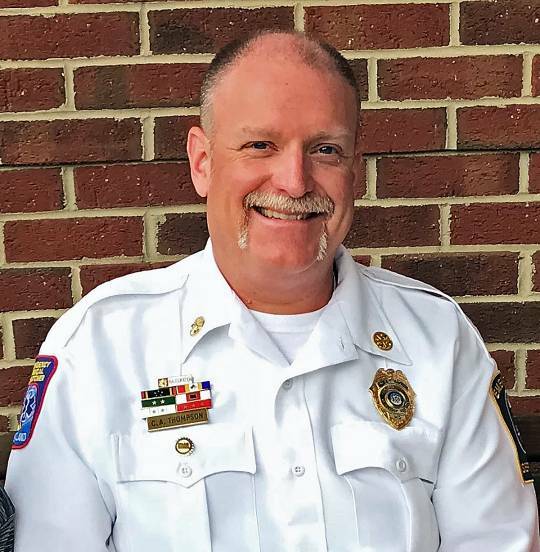 The majority of Mr. Thompson's career has been spent with the Charles County Sheriff's Office where he served as a Police Communications officer and fire/EMS 9-1-1 Communications. He was later promoted to Assistant Chief in charge of operations. Mr. Thompson has responded to a number of National disasters, including two tours in the State of Mississippi, serving as Deputy Operations Chief working with FEMA during recovery and relief operations in the aftermath of hurricane Katrina. He was also deployed during hurricane Gustav as team lead of an ambulance strike team. Mr. Thompson is a certified Emergency Numbers Professional, and has worked on numerous statewide committees, including the Maryland institute of Emergency Medical Services (MIEMSS) Emergency Medical Dispatch Committee and the Maryland National Capital region 9-1-1 Operation Group. "I am extraordinarily pleased to have Chris join our team," said Stephen Walker, Emergency Services Director. "He will be a great asset as we move forward in professionalizing our center and working to improve services to our community and first responders whom we support." A St. Mary's County native, Mr. Thompson is married and has two sons. The St. Mary's County Planning Commission meeting, scheduled for Monday, October 22 at 6:30 p.m., has been cancelled. The next scheduled meeting for the Planning Commission is Monday, November 19 at 6:30 p.m. The St. Mary's County Sheriff's Office, in partnership with the St. Mary's County Health Department and St. Mary's County Elks Lodge #2092, will host a medication collection event on Saturday, October 27, 2018 as part of National Prescription Drug Take Back Day. Proper disposal of medications protects our community in many ways. It deters misuse and abuse, prevents accidental poisoning of children and pets, and avoids health problems from accidentally taking the wrong medicine, too much of the same medicine, or a medicine that is too old to work well. Proper disposal of medicines also protects our environment by keeping drugs from entering our water when poured down the drain or flushed down the toilet. In the past year, St. Mary's County residents have turned in 1,120 pounds of prescription medications at community events and sites operated by the Sheriff's Office, keeping these substances off the streets and out of the wrong hands. The Elks National Drug Awareness Program is committed to eliminating the illegal use of drugs by all members of society and believe that in order to ensure a bright future for the country, it is essential that children be raised in a drug-free environment. For more information, visit to www.smartaboutmeds.org/disposal or call the St. Mary's County Health Department at (301) 475-4330. The St. Mary's County Museum Division has taken possession of a number of historically significant photos, documents and objects this year. These donations help the Division's efforts to develop museum exhibits and programs which serve the local community and visitors. Among the items donated: Mr. Bernard Bailey donated a model clamming boat called the "Frisky," which was designed after a vessel which used to harvest clams from the Potomac River. Mr. Ralph Lawrence and his family donated tools that belonged to his father who built boats in Abell, Maryland. These items are planned to be used in the boat building exhibit at the Piney Point Lighthouse Museum & Historic Park. Susan McNeill donated images of Golden's Hotel, an early 20th century African American hotel in Colton's Point, Maryland. The museum Division plans to include exhibits about the hotel industry that once thrived along the waterways in St. Mary's County. Mr. Tom Waring donated a blue heron and a wild turkey hand carved by famed local woodworking artist Tom Deagle. Mr. Waring's donation helps the museum preserve the works of local St. Mary's County decoy carvers. Mr. Bo Bailey donated 5 tumbler commemorative glasses which the St. Clement's Island Museum would like to use for future Maryland Day exhibits. The museum also received images capturing views of St. Clement's Island in 2010 with photographs donated by photographer Carol Davis and a wall-sized backdrop of the Blackistone Lighthouse donated by Mr. Dale Springer. The Museum Division also maintains an educational collection consisting of items visitors can touch. To this end, Mr. Walter Boswell donated a collection of schoolbooks, pottery and fossil that the museum will use for onsite and outreach programs. All donations undergo a vetting process before accepting it. First, the museum receives an item temporarily for review. It must relate to the museum's mission or focus and have a place in the museum's exhibit plan or educational program. If it meets the criteria, it is permanently accepted then accessioned and catalogued. Educational collections are inventoried separately. The Museum Division continues to seek historic documents, photos and other significant objects related to Piney Point, Maryland, St. Clement's Island and the Colton's Point, Maryland area from the 20th century and earlier. Anyone who believes they possess an object which meets these criteria and would like to donate it, are invited to Community Day at the St. Clement's Island Museum. The event takes place on Friday, February 8, 2019, from 10 a.m. - 4 p.m. Museum Division Staff will be on hand to take photos or scan items you would like to share with us. Visitors may stop by throughout the year by making an appointment with the Collections Manager, Chris Barbour, at 301-769-4723. The Friends of St. Clement's Island and Piney Point Museums, the non-profit organization which supports the historic sites overseen by the St. Mary's County Museum Division, was recently awarded a $2,500 matching Seed Grant for the creation and printing of a new promotional brochure. The new marketing piece will be distributed throughout the region and state to promote the museums and historic sites. 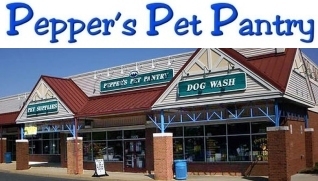 The initiative is also meant to support ongoing tourism efforts in St. Mary's County. 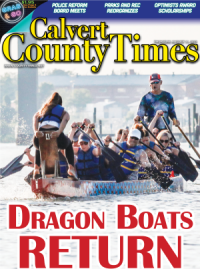 According to the Southern Maryland Heritage Area Consortium (SMHAC), the grant award is part of an overall $40,000 award in Seed Grants to significant heritage tourism projects in Calvert, Charles and St. Mary's Counties. The granting opportunity, completed in accordance with SMHAC's mission, focuses on projects which preserve the heritage of Southern Maryland through innovative tourism, excellence in cultural and natural resource conservation and unique educational opportunities. Each of the programs selected for an award will enhance the Southern Maryland experience for visitors, residents, educators and businesses. "We are truly honored that our important project was selected for this grant funding," says Karen Stone, St. Mary's County Museum Division Manager. "This new brochure will present all that our museums have to offer in a fresh, modern and attractive print piece with the aim of drawing increased visitation to our sites and to St. Mary's County as a whole." With funding secured, Museum Division staff will begin work on the brochure with a professional design firm. The final product is scheduled to be available by the beginning of 2019. The Friends of St. Clement's Island and Piney Point Museums raise funds in order to support historical interpretation, education programs and special needs of the sites managed by the Museum Division of St. Mary's County Department of Recreation and Parks. The Friends organization is a 501(c) 3 organization which sponsors events, assists with acquisitions and supports efforts to broaden the understanding of our culture and community heritage. It is with heartfelt sadness that St. Mary's County Government and the St. Mary's County Department of Emergency Services mourns the passing of Animal Control Supervisor Antonio "Tony" Malaspina. Tony began his employment with St. Mary's County on October 6, 1997 and was promoted to Animal Control Supervisor a year later on October 5, 1998, a position he has held until his passing. A lifelong public servant, Tony was a U.S. Army Veteran and a retired U.S. Capitol Police Officer. Tony received many letters and correspondence over the years recognizing him for his compassionate and dedicated service to the residents of St. Mary's County. Many of his Animal Control and Emergency Services colleagues lovingly describe Tony as the department's psychiatrist, as they regularly would stop in and chat with Tony and listen to his words of wisdom. He always had time to stop, listen and provide kind words of encouragement, and a shoulder to lean on. Tony Malaspina was a generous, warm and loving man and a wonderful father, to his own family and to many of county employees as well. Thank you for your service Tony! We will take from here! Animal Control Supervisor Antonio "Tony" Malaspina.